I waited ’til iTunes… No. That’s not what I did. I went to CBS All Access, which I have signed up for, and there it was: Hawaii Five-0. So I’m watching the show, I’m watching the show, and I’m thinking, “Obviously some people think something happened here that I need to pay attention to.” Then I saw it. I heard it. The actor is named Chi McBride, and he portrays a member of the Five-0 squad named Lou Grover, and they have a prisoner — a bad guy — in their interrogation room where they’re running CIA enhanced-interrogation measures. MCBRIDE: You take these gullible young students out in the middle of the jungle, get ’em baked out of their minds. … You had these young skulls full of mush tripping so hard, they thought they were actually achieving enlightenment. RUSH: “You had these young skulls full of mush tripping so hard…” Nobody would tell me what it was. I had to go find the episode and hear it. So just another phrase from the EIB Network now finding its way into the popular lexicon. RUSH: To east Pennsylvania somewhere. This is Jennifer. Great to have you on the air. How are you? RUSH: Wait a minute. East what? 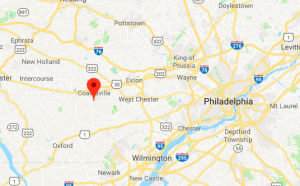 CALLER: It’s in between Lancaster and Philadelphia. RUSH: But I had not heard of it before. I’m a Pennsylvania expert. CALLER: Well, wow. You don’t know where Coatesville is? I mean Fallowfield. It’s not all that… East-south. I’m sorry. I just wanted to ask you a question. Okay. I was in a coma for six weeks. One thing I can do still is give speeches. I give speeches for a lot of hospitals and everyone around here, but one of the hospitals stole my words. How do you deal with someone stealing your words? RUSH: Are you referring by chance to the Hawaii Five-0 sound bite I played? CALLER: No. No. No, no, no. (chuckles) I’m talking about me. 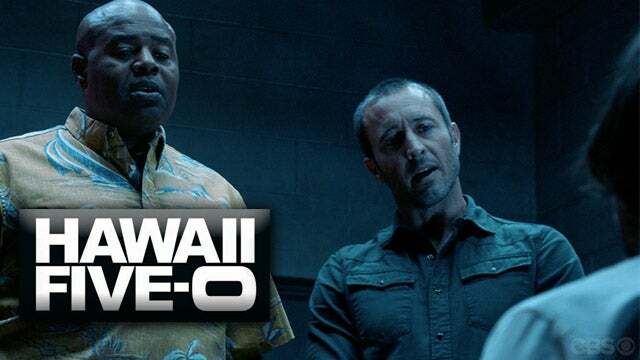 (laughing) Not Hawaii Five-0. RUSH: No, we played a sound bite from Hawaii Five-0 early in the program where they used one of my lines. CALLER: Yes, yes, yes, yes, yes. I’m sorry. That’s what I was talking about. RUSH: Well, I was flattered by that. I’m figuring somebody at that show is a fan. That’s what I’m figuring. But your larger question, I wanted to take your call because to me it’s a good question. It used to bother me like you can’t believe because it happens all the time. RUSH: It frustrated me. Here I am with the largest radio audience in the country, and I turn on or I read this and read that, and I read my words back at me, and I wonder, “Do people who read this know I’ve said it?” There were a couple of pieces this weekend, Jennifer — a couple of columns this weekend — that are almost… Well, not verbatim. But they are everything I have said in the past two weeks about this investigation. I finally got to the point where it happens so frequently that it is a waste of time getting caught up in it. And I try to take it internally as flattery. It’s just there’s nothing else you can do with it. How would it sound to you if I came to this program every day complaining about so-and-so stole what I said last Thursday, and then the next day I complained about it again, and then the next day complained about it? You’d get tired of hearing me complain with it, wouldn’t you? CALLER: Yes. Well, itt’s hard for me not to. RUSH: This is why I don’t listen to other talk show and this is why I never have, ’cause I don’t want to even accidentally, subconsciously copy anybody. That’s why I don’t watch cable TV anymore — and there’s so much media now, it’s harder and harder to be original. But I still strive for it. 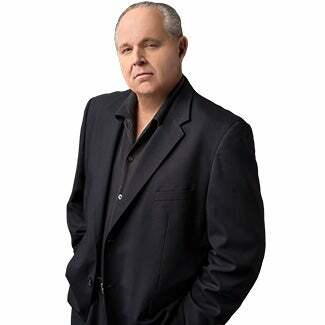 RUSH: But when it happens, I mean, I just now my attitude is that it’s not gonna stop, so why get bothered by it? It’s not that big a deal. Besides, at the end of the day, my audience knows, and that’s all that matters to me. CALLER: Huh. I wish I had a talk radio show. I listen to everyone; I love ’em. RUSH: You think you could do three hours a day with callers? CALLER: Hell, no! (giggles) Without callers, maybe. RUSH: (laughing) “Hell, no! No callers.” Well, with that attitude you may get one someday. I mean, they hire car mechanics that do talk show. They hire psychiatrists. Any number of people that have never been on the radio get hired. So if that’s something you want to do, apply. You never know. I know a housewife… Get this! A housewife in Miami got hired by a Miami talk station because of how brilliantly some guest thought she was beating up George W. Bush at a party. She was given one-hour-a-week show on a station in Miami simply because this guest thought she was brilliant in her hatred for George W. Bush. And then if that happens, then get prepared for a whole lot of people to steal what you say, not just your speeches at the hospital. Jennifer, thanks very much. And I wasn’t trying to be insulting about where you live. I mean, I am a Pennsylvania expert. I just had not heard of East Fallowfield. So my bad. My bad.